You are just about to complete your website update… Zap! The power restarts and all your updates stuck in the middle and make your website to collapse. And now you frustratingly wonder, whether there is a better way available that could have prevented you from this kind of crisis. “Data Backup” – When it comes to vital information, safeguarding it should be the top priority for any business owner regardless of the disaster that may happen. Unfortunately, only 50% of small and medium-sized businesses are confident in safeguarding their data. All the others feel that they lack the technical expertise or special equipment to back up their critical data. No worries! Here is our WP Ultimate Exporter, to make your website backup a breeze. With this, you no longer need any technical assistance to get your backup. Let’s see, how to do this. 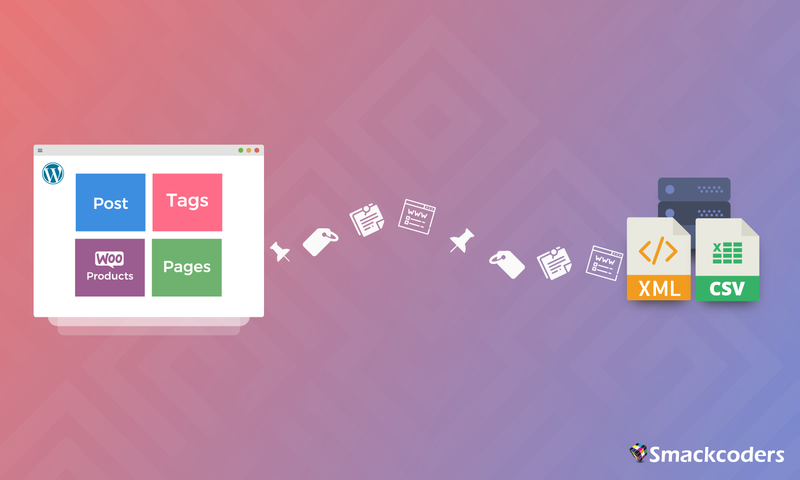 Ultimate Exporter lets you export Post, Page, Custom Post, WooCommerce and more. Choose the desired one that you need to export and click on Proceed to navigate to the next step of your export process. Just add the File Name for your backup and click on Export. Now all your data will be exported and you can download it. By default, the data is exported as CSV file. However, you can choose a different file option using the Export Type option. Ultimate Exporter enables the data export in 4 different file formats like CSV, XML, XSL, and JSON. You can also limit the records to be added in your CSV. Enable the Split Record checkbox and mention the number of records to be added to your CSV file. With the number of filters readily made available, you can easily export only selected data from your WordPress website. Know more about Ultimate Exporter from here. You can also try this out from our Live Demo. Write to us your feedback and queries to [email protected].